The other day I took an Animal Flow class at Equinox in Columbus Circle, NYC. I’ll write separately about that, but during class I couldn’t help but be distracted by something in front of me. Yep, I’m that girl. And while I’m not 100% sure what she was wearing (I’m not that creepy), I’m pretty sure it was from lululemon: a racerback with cutouts on the side. It pretty much gave hot yoga a whole new meaning. So naturally, I felt kind of silly in my high school track t-shirt. I also wouldn’t be mad if the nice people at lululemon (or wherever she got it) wanted to donate one of these fancy workout tops to me. But anyway. It got me thinking about fashion and fitness, and how they’re intertwined. Though working out is my top priority, I do want to look good doing it. Which means dry-fit tees, colorful running shorts, durable spandex and bright, vibrant sneakers are more than just comfortable clothes — they’re a fashion statement. So when I got invited to visit a new women’s active apparel store last Thursday, I jumped at the opportunity. 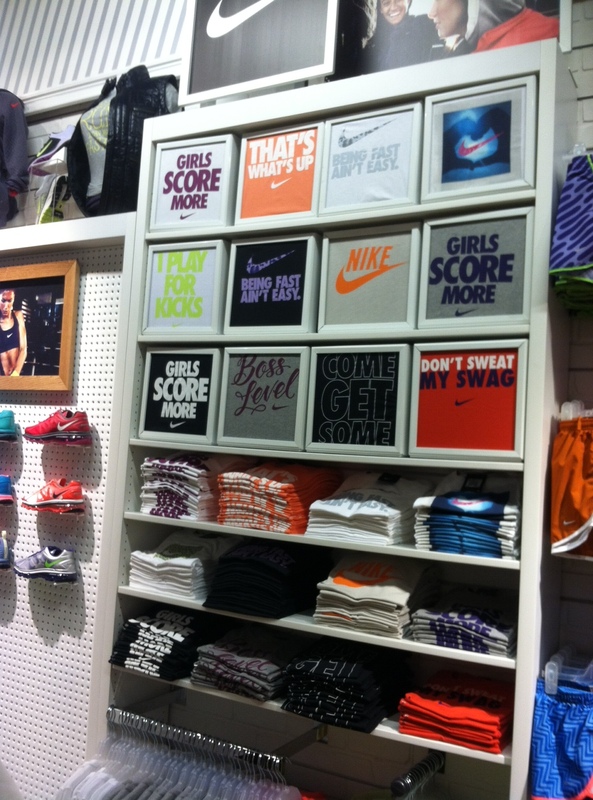 Six:02 at the Willowbrook Mall in Wayne, NJ, is basically every active women’s dream store. Selling the best of women’s athletic apparel, Six:02 offers options from Nike, to Adidas, to UnderArmour, Brooks, Mizuno, Saucony and more. 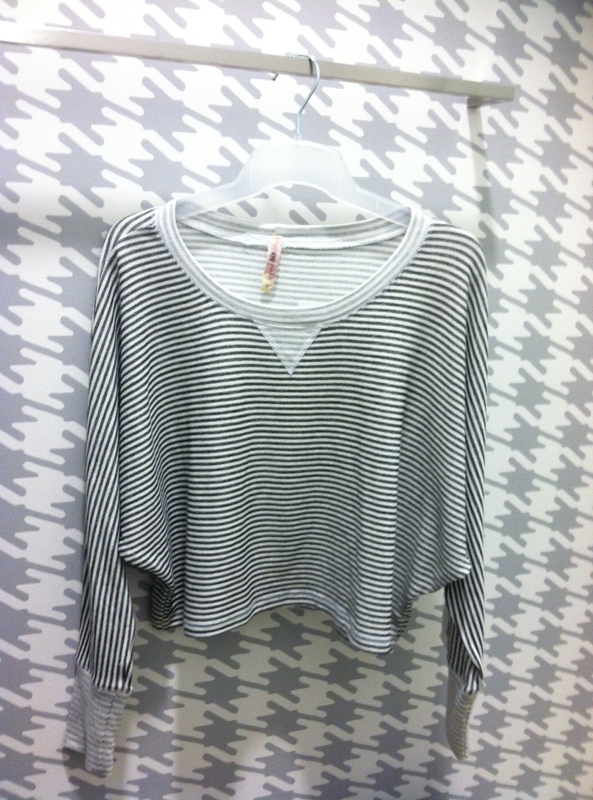 The goal of the store is to keep you fit and fashionable while working out, hanging out or going out. Whether you’re looking for durable, cold-weather running gear, or a cute shirt that doubles as a yoga top, Six:02 has got you covered. 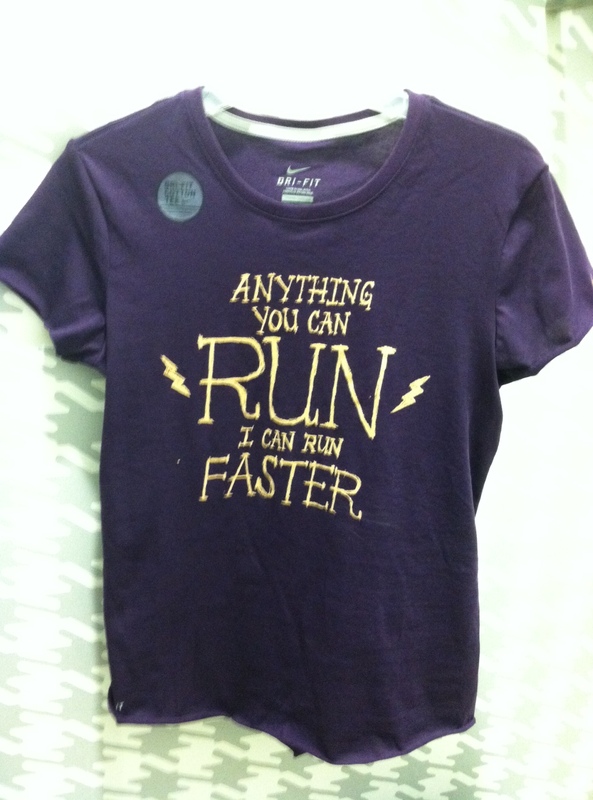 Featuring fun tops with runtastic, powerful sayings like, “Anything you can run, I can run faster” or “Being fast ain’t easy,” it’s a store that celebrates women and their time working out. If you live in or around NJ, I definitely recommend checking Six:02 out. Instead of scouring TJ Maxx and Marshall’s for good quality athletic gear in your size, everything is right in front of you! And if you’re like me ( the kind of person that wears spandex in every acceptable situation to avoid wearing pants), you’ll have tons and tons of options that double as gym wear, loungewear, and let’s be honest, ALL DAY EVERY DAY wear. 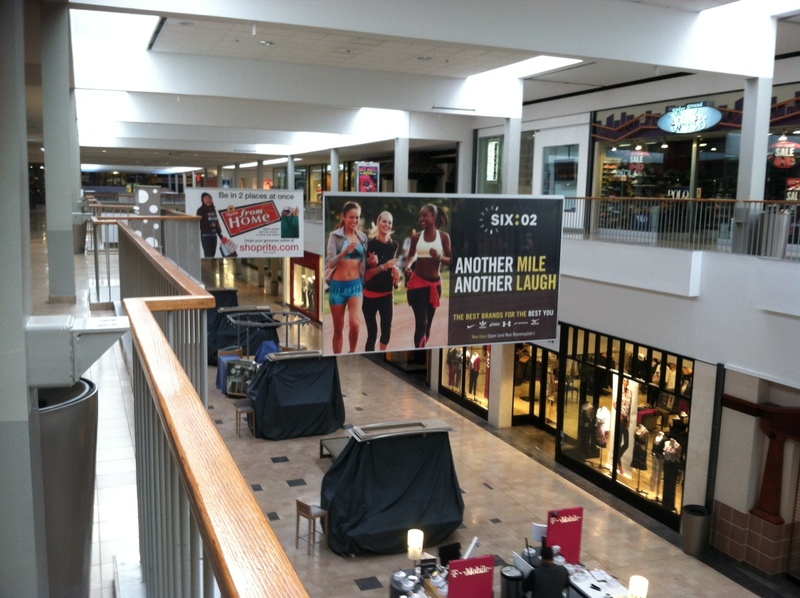 Six:02 is located in the Willowbrook Mall in Wayne, NJ.